What price Susan Kiefel as the next CJ? Maybe this is premature especulation, but I’ve got Susan Kiefel as specials to become the next Chief Justice of Australia. It’s earned on merit and overdue on symbolism. Robert French is due to turn 70 on 19 March 2017. That event is important to more than simply French, his family and friends. That’s because French is the twelfth and current Chief Justice of Australia. And because the Constitution provides that on that date, at the latest, his tenure as the Chief Justice will end. Recent convention suggests that his replacement will be announced in late 2016 or early 2017. The decision about his replacement is made by the executive government (ie Cabinet), usually upon the recommendation of the Attorney General. So the identity of the Attorney in the administration following the 2 July federal election is likely to be crucial to the identity of the next CJ. If Senator George Brandis QC is returned to the Senate, his party (LNP) forms the government in the House of Representatives, and he is favoured with the AG’s job again, there must be a strong prospect that Justice Susan Kiefel will become Australia’s first female Chief Justice. Kiefel was appointed to the High Court in 2007. She is currently the senior puisne judge and undoubtedly one of the intellectual leaders of the Court. She also has a Gummow-like ability to produce consensus judgments. This attribute, named after former High Court justice Bill Gummow (1995-2012), with whom Kiefel served on the bench for five years after she joined the court in 2007, is highly valued by everyone in the food chain below the High Court. This includes solicitors, barristers, law students, academics, and lower court judges. It tends to produce a majority judgment. Kiefel will be 63 on 17 January 2017. If appointed, from March next year she’ll have close to 7 years in the position. This is about the average length of service of the five CJs appointed since Barwick CJ’s retirement in 1981. She would join Isaacs, Gavin-Duffy, Dixon, Gibbs, Mason and Brennan as an existing Justice appointed to Chief Justice. The fact that she hails from Queensland, Senator Brandis’ adopted State – he was born in Sydney – can’t hurt her chances. Brandis’ shadow is Mark Dreyfus QC. Dreyfus was Attorney-General in the Second Rudd Ministry, and was appointed as the shadow Attorney following the 2013 federal election. If he is returned to the House of Representatives as the member for the Victorian seat of Isaacs, his party (Labor) forms the government in the House of Representatives, and he is appointed as Attorney General, he may not be enamoured by the judicial conservatism of Susan Kiefel. An off-beat suggestion is Peter McClelland, one of the Commissioners overseeing the Royal Commission into Institutional Responses to Child Sexual Abuse. Not that he’s not qualified. He’s been a Justice of the Supreme Court of New South Wales, Chief Judge of the Land and Environment Court of New South Wales, the Chief Judge in Common Law in the Supreme Court, and an Assistant Commissioner at the Independent Commission Against Corruption. He’s very highly regarded, hence his current gig. However, age will tell against McClelland as he’ll be in his mid 60s in March next year, and could therefore only serve for a short period of time. Whilst short service didn’t stop Gerry Brennan – 3 years and 1 month in the top job – Brennan had had 14 years as a puisne judge before his elevation. Whoever it is will be Australia’s thirteenth Chief Justice. If it’s Kiefel or another woman it will be Australia’s first. 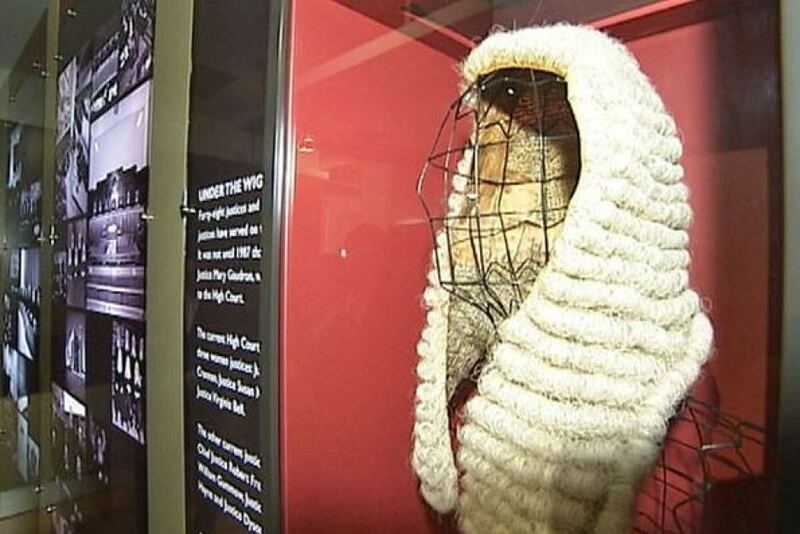 About 10% of all Australia’s High Court judges have been woman, and 5 of the 16 appointment have been women since Mary Gaudron was the first woman appointed to the Court in 1987. But there has never been a female Chief Justice. This is not a reason for appointing a less able person as Chief Justice just because they’re female, but an extra reason for appointing an able one who’s female. That’s why my moneys on Kiefel: she fits both criteria. If Kiefel or another existing judge is appointed, another tantalising question arises: who will get the next High Court gig? To my mind that question is: Will Mark Leeming get Kiefel’s position as a puise judge, or is he considered too young or still too inexperienced? Since 2013 Leeming has been a Judge of Appeal in the NSW Court of Appeal, seemingly the second youngest member of the Court to attain that distinction. He was an associate to two of the leading High Court judges of the last 50 years, firstly Bill Gummow (then of the Federal Court) and then Sir Anthony Mason. At the bar he read with Stephen Gageler, now on the High Court. He represented NSW in constitutional cases. He’s been a revelation on the bench because of his clarity, brevity and scholarship. At his swearing in he was described as “a humble and down-to-earth person”, great attributes for any person but particularly a judge. He has lived up to that description and more. Any way, it’s great to have these speculations, and not so great to have to wait till the end of the year to collect! However, Brandis can’t be accused of parochial appointments. His 2 appointments to date have both hailed from Victoria, Justices Geoff Nettle and Michelle Gordon. The youngest is apparently Anthony Mason JA, as he then was.